This Years Grammy Week welcomes an all new Music Showdown that we would like to invite you to perform at! You will be supporting a Music Artist Competition where the Underground Meets Industry. 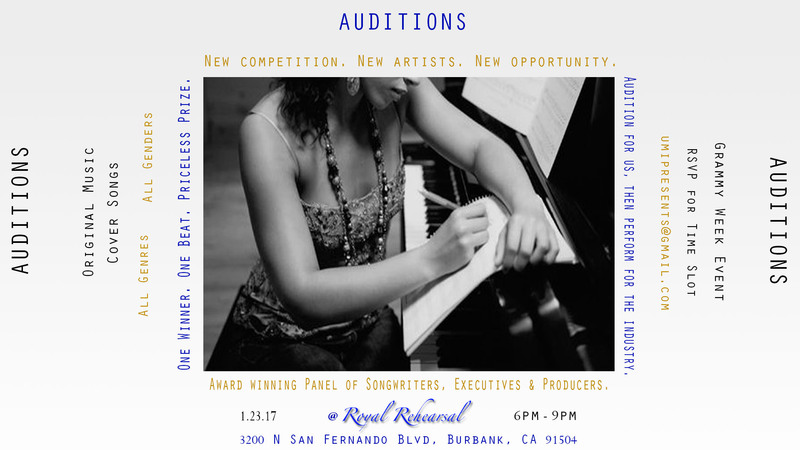 Come Audition for a panel of Music Industry Professionals, for your chance to move on and showcase your skills in front of a live audience and Award Winning Songwriters, Producers, and Executives during Grammy Week. 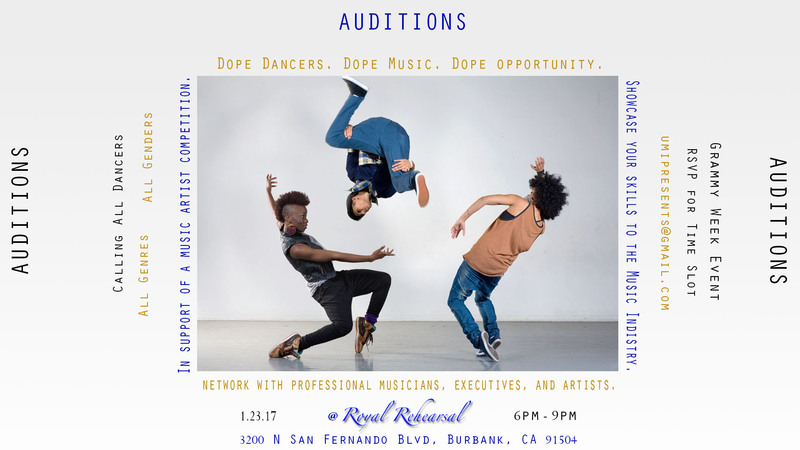 Auditions will be held on January 23, 2017 at Royal Rehearsal – 3200 N San Fernando Blvd. Burbank, CA 91504 between 6pm and 9pm. Please RSVP to umipresents@gmail.com for a time slot. Limited Slots are available. All genres are welcome!